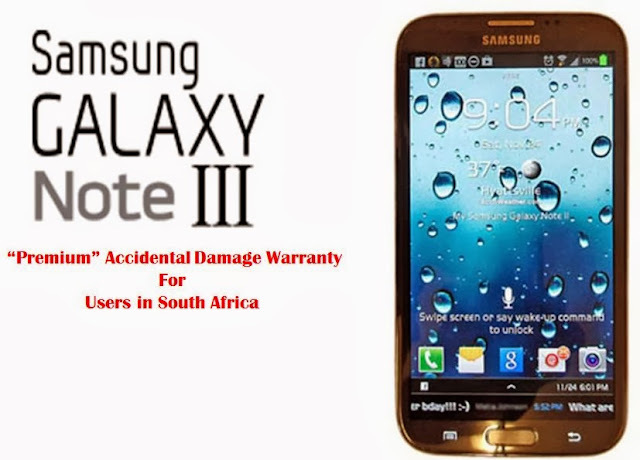 This news should be a good to ears of Galaxy Note 3 users in South Africa as Samsung, the Korean tech giant, ha s announced a “premium” accidental damage warranty for Galaxy Note 3 users in South Africa. SamMobile notifies that this is a new version of the company’s “accidental damage from handling” warranty, under which Note 3 owners will get two free ‘no questions asked’ repairs if their device gets damaged within two years of ownership, including screen or liquid damage. It is further added that Samsung also guarantees a 24 hour turnaround for repair or replacement, and will also offer on-site collection of the handset through a dedicated Galaxy Note 3 call centre.